Yesterday's Scrappy Braid Workshop went well. Everyone is working on their own version of a scrappy braided quilt. Jane is using batiks from her stash and making a quilt for her grandson. Dianne is making a king size version for a gift for her brother. She is using fall colors and has a puppy border picked out. Norma cut up lots from her Christmas collection. She is going to make a runner and then a quilt. 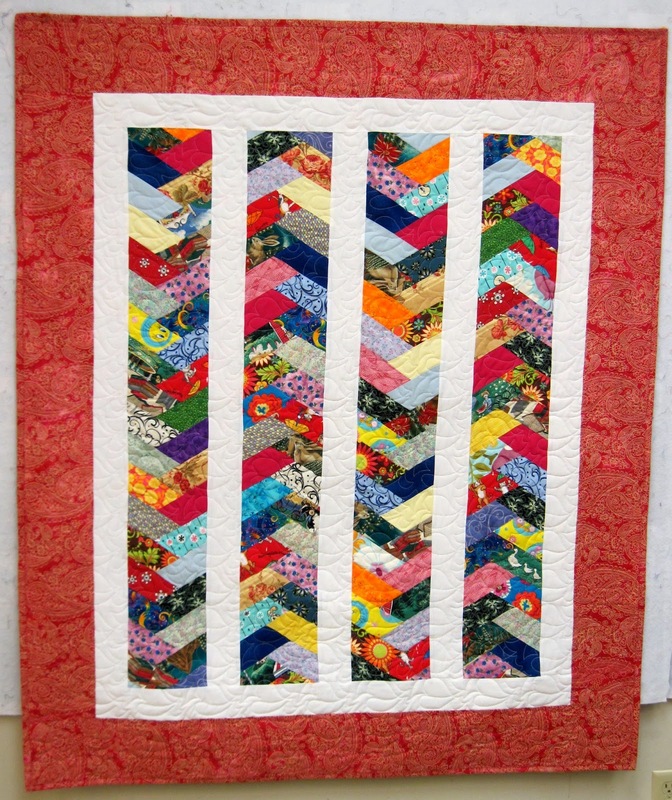 Diana was given a jelly roll as a gift and is using it to make a twin size quilt. There are lots of ways to use these half hexagons...after they had a good start on their braids I showed them how to sew them together to make hexagons. I made a small version of this last summer. We had our cup swap yesterday after class. When Becky came she and Diana posed for a twin picture in their matching shirts! I didn't think to take pictures of all the cups before the swap, but I will take pictures of the ones I ended up with later and post tomorrow. Hopefully others took pix of their own I can share. 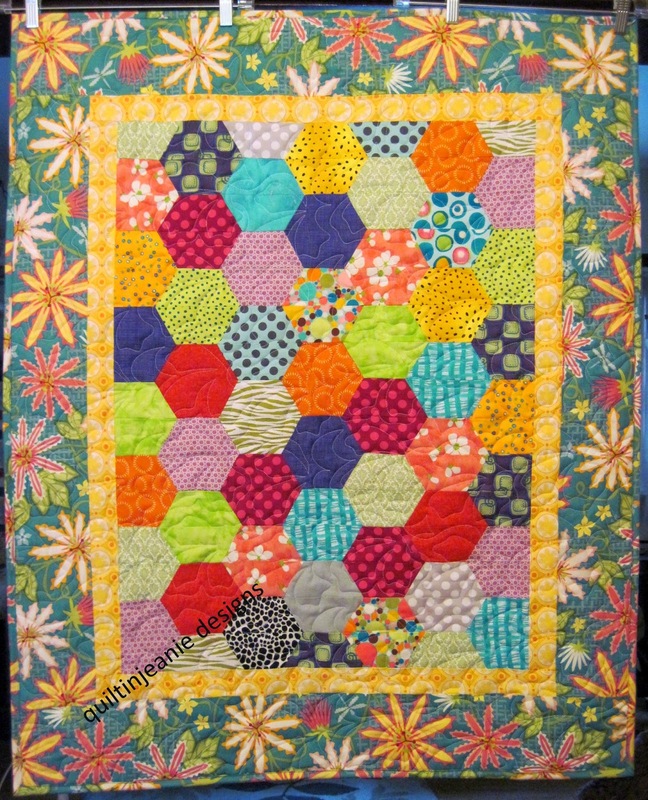 I want to get the last border on the new Sampler quilt today, then I may start cutting out a new quilt. It always seems like borders should go quickly, but they never seem to! looks like a colourful class. Love the way that the design changes according to the colours used. Don't you love a new block?